When you need affordable garage services in North Bristol why not pay a visit to Green Lane Garage today? We are a locally owned and well established family business with over 30 years of experience, so when your car needs servicing in South Gloucestershire trust our garage to have you back on the road in no time at all. All of our work is completed to an impeccable standard, and we always ensure that our work is finished quickly. For your convenience we have recently opened a new garage at 1 Marybrook Street in Berkeley, so why not call us today and book your vehicle in for an MOT? Green Lane Garage endeavour at all times to deliver the best level of care and commitment to your vehicle whether old or new. 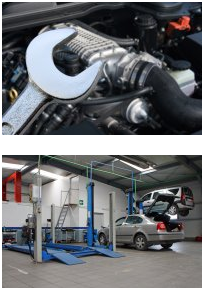 For your peace of mind we are also a member of the Good Garage Scheme and all staff are fully qualified and experienced to deal with any vehicle. So when you are looking for a reputable garage to carry out garage services in Berkeley make Green Lane Garage your number one choice. To find out more about our car servicing in South Gloucestershire, please don't hesitate to contact Green Lane Garage and book your car in with us today. You can reach us through our contact page, or by calling us on 01454 202030. Green Lane Garage Berkeley, 1 Marybrook Street, Berkeley, Gloucestershire, GL13 9AA.